Fully working pump been tested by a local diesel specialist all in good working order.2.2 tdi. Citroen Berlingo Dispatch Jumper Relay 2.0 2.2 HDi Diesel engine DW10/ DW122000 - 2007 years. Will fit others including Peugeot Boxer, Expert, Partner, Citroen Picasso, Relay, Xsara etc. Dieselcommon rail (CR) high pressure injection pump BOSCH. 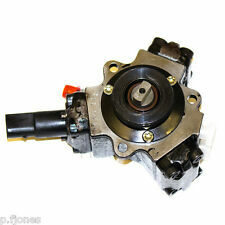 VAUXHALL OPEL 1.9 8v CDTi DIESEL Z19DT FUEL INJECTION PUMP 55193840 0445010128 . Condition is Used. Dispatched with Other 48h Courier. PART NUMBER 0445010046. IF THERE ARE PART NUMBERS IN THE ADVERT, THEY'RE THERE FOR A REASON. THIS MUST BE CHECKED PHYSICALLY AGAINST THE PART YOU ARE REPLACING. IF IT DOES NOT MATCH THEN IT IS MORE THAN LIKELY WILL NOT WORK ON YOUR CAR. Fits to side of Injection pump. REMANUFACTURED BOSCH VE DIESEL FUEL PUMP. cash on collection. 0470506033 059130106L. AUDI A4 A6 2.5 TDI BOSCH INJECTION FUEL PUMP. REMOVED FROM AUDI A4 2.5 TDI 110Kw. VAG PART NUMBER:- 03L130755D. BOSCH PART NUMBER:- 0445010514. 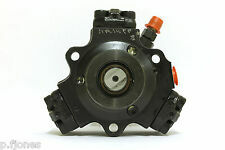 VW/AUDI/SEAT/SKODA 2.0 TDI CR BOSCH FUEL PUMP. OLD FORGE ENGINE CENTRE LTD. FITS 2010-2014. Whilst every effort is made to ensure that parts are despatched in good working order, problems and faults do occasionally occur. PART NUMBER 0445010045. IF THERE ARE PART NUMBERS IN THE ADVERT, THEY'RE THERE FOR A REASON. THIS MUST BE CHECKED PHYSICALLY AGAINST THE PART YOU ARE REPLACING. IF IT DOES NOT MATCH THEN IT IS MORE THAN LIKELY WILL NOT WORK ON YOUR CAR. IT'S BEEN RECONDITIONED TESTED AND CLEANED BY PROFESSIONALS, READY TO FIT YOUR VEHICLE. IT HAS BEEN CAREFULLY REMOVED FROM A RUNNING VEHICLE. Part Numbers: 0445 010 007. BMW 530D 2015 HIGH PRESSURE DIESEL FUEL PUMP BOSCH 0445010634,7823463.done only 4000 miles. 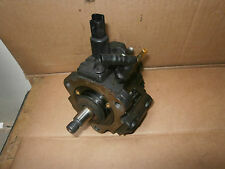 CITROEN XANTIA 1.9 TD 1997 FUEL PUMP BOSCH TYPE REMOVED GOOD RUNNING ENGINE PART NUMBER 0460 494 427. 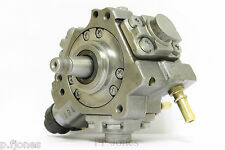 Fully reconditioned Genuine VW Audi Bosch 03G 145 209C Fuel Tandem Pump. AB30-38, AB44-56, FK17-99, G83, IV1-28, IV30-39, IV52-54, IV63, KW1-14, PA21-40, PH15-26, PH30-41, PH49-50. Citroën C3 2010-2016 1.4 HDi 67 Bhp. Model C3 VTR PLUS. Diesel Fuel Injection Pump. Product Fuel Injection Pump. Drive Type. Genuine Citroën Part. We are specialists in all makes and models of vehicles for breaking so the chances of you finding the correct part for your vehicle through us is very good. PART NUMBER 0460414992. 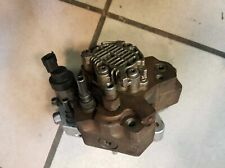 ROVER 600 1996 2.0 TD DIESEL FUEL INJECTOR PUMP. IF THERE ARE PART NUMBERS IN THE ADVERT, THEY'RE THERE FOR A REASON. THIS MUST BE CHECKED PHYSICALLY AGAINST THE PART YOU ARE REPLACING. 2006 AUDI A6 C6 S LINE SALOON 2.7 TDI BPP AUTOMATIC QUATTRO HIG PRESSURE FUEL PUMP 059130755S. Channel Islands. USED PART so do not expect IDEAL AS NEW. Will ask for proof/invoice of work done by specialist in cases of claims. WE HAVE SECURITY MARKED OUR PART TO PREVENT ANY WRONG DOINGS (INCLUDING SCAMS.). VAUXHALL ASTRA 1.7 CDTI. BOSCH DIESEL FUEL PUMP FOR THE. CROSS REFERENCE PART NUMBERS. YOU WILL NEED TO SWAP YOUR REGULATOR OVER. AND PROFESSIONAL SERVICE. (VAUXHALL CORSA 2010 1.3 DIESEL A13DTC. FUEL PUMP BOSCH. IRELAND AND CHANNEL. We cannot be held responsible if the item does not fit your vehicle. 2) Fault or failure of an ancillary component, for example a radiator, timing belt, water pump, fuel injection system, turbo, coolant, gasket, hoses, etc. 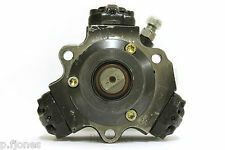 VAUXHALL ASTRA ZAFIRA FIAT DOBLO SAAB 1.9 CDTi 8V Z19DT FUEL PUMP 0445010128. Condition is Used. Dispatched with Royal Mail 1st Class. NO RESERVE!!! If you are not sure, send us your reg. 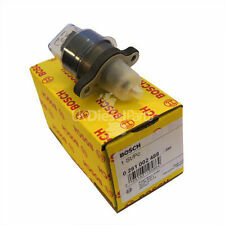 BOSCH DIESEL FUEL PUMP ,FITS CITROEN. PEUGEOT, FORD, & MAZDA MODELS. CROSS REFERENCE PART NUMBERS. AND PROFESSIONAL SERVICE.